Most individuals do not think about the perils they face each time they get into an automobile and take to the roads. Automobile accidents occur every day, and the impact can be devastating. Thousands of people are killed in automobile accidents each year, and millions are injured. Automobile accidents can result in serious, life-altering injuries, many of which can lead to permanent disability. Victims may suffer broken bones, whiplash, burns, internal injuries, and even paralysis. Even in the most minor of accidents, an individual can sustain injuries that have lasting adverse effects. Aside from the obvious physical trauma that such injuries cause, these injuries can also significantly impede an individual’s ability to participate in normal daily activities and can cause substantial emotional distress. Injuries from motor vehicle accidents can also result in lost wages, substantial medical bills, significant personal and marital stress, and professional harm. The reality is that injuries sustained from an automobile accident, no matter how minor they may seem at first, can cause a multitude of substantial and long-lasting damages. After an automobile accident occurs, many individuals are uncertain about what they should do at the scene and after they get home. If you have been involved in an accident, it is imperative that you take certain steps. Contact your insurance company. When you speak to your insurance company, they will want to obtain basic information about the accident for their records. You will be asked about the details of the accident. If you were injured or if you have concerns about insurance coverage, you should consult an attorney. You may also be asked to make a recorded statement which may be used later. You do not have to consent to the recording, and, in most instances, it is best that you not allow your statement to be recorded. Always consult the advice of an experienced automobile accident attorney before you allow your conversation to be recorded. Contact an experienced automobile accident attorney. The experienced attorneys at Rice will insure that you understand your legal rights and will work diligently to safeguard your interests. Compile medical records. If you sought and received medical treatment as a result of an automobile accident, keep a record of the doctors who treated you, as well as the time and place of treatment. If you went to the hospital for treatment, document how you were transported. Collect documentation of any relevant medical history to present to your attorney. After an automobile accident, most people are concerned about payment of their medical bills. Florida law requires that every motorist who owns a vehicle in the state carry a minimum of $10,000 in personal injury protection (PIP) and $10,000 of property damage liability. When an automobile accident occurs, your personal injury protection carrier is responsible for your medical bills up to the limits of your PIP policy, regardless of who was at fault, minus your deductible. If your policy includes medical payments coverage, med pay will often pay for the remaining medical expenses if your medical bills exceed your PIP limit. After PIP and med pay are exhausted, your health insurance should cover the remaining medical expenses. If you prevail in a personal injury action against the at-fault driver, your health insurance carrier will have a lien against the recovery for all medical expenses they paid out. Collision or property damage liability will often cover damage to your vehicle. Automobile accidents are the most common personal injury claim. Filing an insurance claim and obtaining the appropriate compensation can be a complicated process. The personal injury attorneys at Rice have extensive experience in handing automobile accident cases and can assist you in determining whether a personal injury claim is the appropriate solution in your case. Our attorneys understand the complexities that automobile accident cases entail, including both legal and insurance matters, and we are qualified to evaluate all aspects of your case. We realize that time is of the essence. Our highly experienced attorneys have the resources to quickly and effectively evaluate your case and will work aggressively on your behalf to insure that your interests are protected and that your needs are addressed. What should I do if I have been involved in an automobile accident? Immediately call 911 so that a report can be prepared at the accident scene. Seek medical attention. Make certain that injured individuals get immediate medical attention. Gather the following necessary information from all drivers and passengers involved in the accident: names, addresses, phone numbers, and automobile insurance information of everyone involved; and the make, model, vehicle information number, and license plate number of all vehicles involved. Also obtain the names, addresses, and phone numbers of everyone at the scene who may have witnessed the accident. 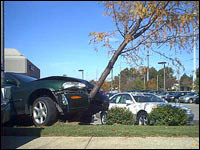 Do not speak to the other driver’s insurance company without first contacting an experienced personal injury attorney. You may unwittingly provide information which could be used against you and could result in the denial or reduction of compensation. For this reason, do not make any type of statement or sign any documents without first consulting an attorney, and do not consent to recording of your statements or conversations. Do not admit fault to anyone. Contact the experienced automobile accident attorneys at Rice to insure that your rights and interests are protected. Should I call the police if I was involved in an accident? Yes. It is imperative that you contact the police immediately after an accident occurs. Contacting the police will provide documentation that the accident occurred and will launch an investigation into the circumstances and cause of the accident. Should I go to the hospital after an automobile accident? Seek immediate medical treatment if you have sustained any injuries as a result of the accident. Even in cases where you feel fine or have only minor injuries, it is often a good idea to be examined by a doctor and have a medical record made documenting your injury. Some injuries worsen or present themselves many hours or even days after the accident occurs. Refusing or waiting to get medical treatment will only prolong your discomfort, and it could hurt your chances of obtaining compensation for your injuries. You should always photograph the accident scene right away as soon as possible after the accident. Take photos of the vehicles, the scene, weather conditions, any hazardous conditions, and all individuals involved. Photographs can be valuable evidence in support of your claim. Should I hire an automobile accident attorney? If you were injured in an automobile accident, you should immediately speak to an experienced attorney to insure that your rights and interests are protected. An experienced personal injury attorney will not only answer all of your questions and file a claim on your behalf, but is also more likely to obtain a more favorable resolution to your case. The experienced attorneys at Rice are well versed in personal injury laws and highly skilled at dealing with insurance companies. We will work hard to assist you in obtaining the compensation that you deserve for your injuries. Is automobile insurance required in the state of Florida? All drivers who own a vehicle in the state of Florida are required to have minimum coverage of $10,000 in personal injury protection (PIP) and $10,000 property damage liability. Most insurance companies require that the insured report all automobile accidents. Failure to do so in a timely manner could result in loss of coverage for the accident. When you speak to your insurance company, they will want to obtain basic information about the accident for their records, and you will be asked about the details of the accident. If you were injured or if you have concerns about insurance coverage, you should consult an attorney. You may also be asked to make a recorded statement which may be used later. You do not have to consent to the recording, and, in most instances, it is best that you not allow your statement to be recorded. Always consult the advice of an experienced automobile accident attorney before you allow your conversation to be recorded. Should I speak to the other driver’s insurance company? Do not speak to the other side’s insurance company without first consulting an experienced personal injury attorney. You may unwittingly provide information which could be used against you and which could result in the denial or reduction of compensation. Any statements made at the time of the accident can be used against you and could result in the denial of potential compensation. For this reason, do not make any type of statement or sign any documents without first consulting an attorney. You should not agree to a settlement just because an insurance company has offered you one. Always consult an attorney before accepting any settlement offer. In many cases, you may be entitled to more compensation than the insurance company has offered. An experienced automobile accident attorney can review the settlement offer and determine if it is reasonable. What is a typical settlement offer? Because each case is unique, there is no “typical” settlement offer. Settlement offers are based on a number of factors, including, but not limited to, the facts of the case, medical expenses, lost wages, insurance coverage, and the severity of injuries. After all of the relevant factors are considered, settlement offers will vary greatly. The attorneys at Rice will fight to obtain the compensation you need and to which you are entitled. Most personal injury actions are settled out of court through negotiations with an adjuster from the defendant’s insurance company. However, the case will proceed to trial in the appropriate civil court if the parties are unable to reach an agreement. As the client, you will have the final say on this issue. It is ultimately up to you whether you accept a settlement or proceed to trial. Personal injury lawsuits are bests handled by an experienced attorney who can protect and fight for your interests. At Rice, our attorneys stand ready to proceed to trial if the insurance company fails to settle for the appropriate value of your claim. What if I was injured in a motorcycle accident but wasn’t wearing a helmet? You can still be entitled to compensation for your injuries. Florida law requires that motorcyclists under the age of 20 wear helmets. Those who are 21 or older are not required to wear a helmet as long as they have proof of health insurance.